Sanchez had a choice about how to assemble from scratch — there is no such thing thing as rebuilding a program with one winning season since 2001 — and wisely picked the correct but yet often painstakingly slow option. Yeah, so I’m thinking Mark Zuckerberg was never put in charge of making something out what has been a nothing college football program. I would normally agree with the Facebook czar on the topic of risk — the only strategy that is guaranteed to fail is not taking any — but not in the case of UNLV and Tony Sanchez. 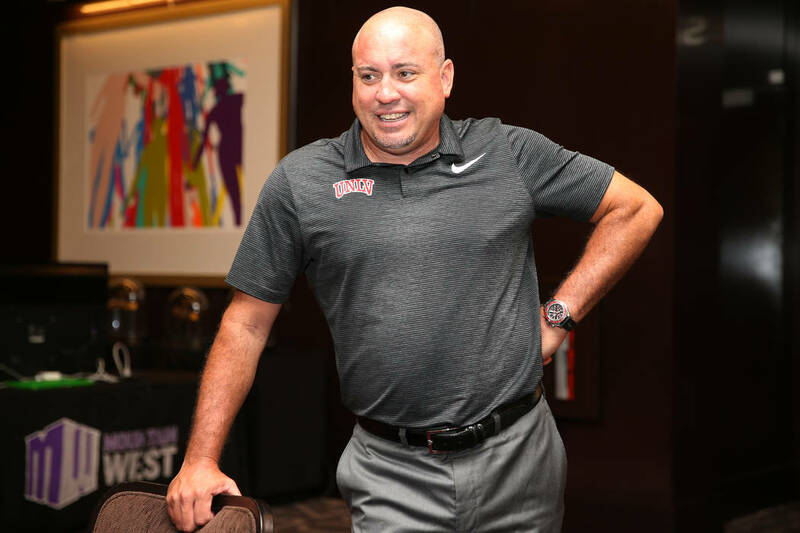 The Rebels on Friday open a fourth fall camp under their head coach, Sanchez having arrived from cross-town prep power Bishop Gorman in December of 2014 with a fixed timeline on how to create a stable and winning product. It will never be fast enough for some, certainly never good enough for many, just as his background as a high school coach will always be judged in a negative sense by those who didn’t believe him deserving or capable of the position. It’s an old and tired take. Move on. Sanchez had a choice about how to assemble from scratch — there is no such thing as rebuilding a program with one winning season since 2001 — and wisely picked the correct but yet often painstakingly slow option. He refused to go for a quick fix. The reward of some has been the ruin of others, coaches who select a recruiting map dominated by junior-college transfers, many heavy on baggage as much as talent, two-year rentals whose impact can range from historic to horrible. But it’s more with Sanchez. It’s things like sticking with an original plan to redshirt then true freshman quarterback Armani Rogers in 2016, now a third-year sophomore and 2018 Maxwell Award watch list member. It’s doing the same with several others, not pushing kids into spots they were in no manner prepared to handle for the sake of accelerating the process. It’s understanding that such a tempered strategy in a non-Power 5 program like UNLV means the Rebels won’t be at a maximum of 85 scholarship players under Sanchez until 2019. “You evolve every year,” said Sanchez. “You change every year, you look at yourself, but you understand there is a plan and you don’t waver from your principles. Len Jessup, when university president, told Sanchez this: There isn’t a ton of money, but there is time, so do it the right way, words interim president Marta Meana and athletic director Desiree Reed-Francois need to support. This should be Sanchez’s most talented team yet. His players go to class. His seniors graduate. His ability to raise funds has been historic. I’m not coming off this — unless the Rebels begin making headlines for breaking NCAA rules or other nefarious acts, this is a minimum five-year job before any legitimate evaluation of a head coach should be made. In this sense, the school needs to do everything possible to guarantee Sanchez the best possible opportunity to succeed, and that begins with finding the money to finish in total the Fertitta Football Complex, because I can’t begin to describe level of buffoonery folks would correctly label such a building with an unfinished second floor. 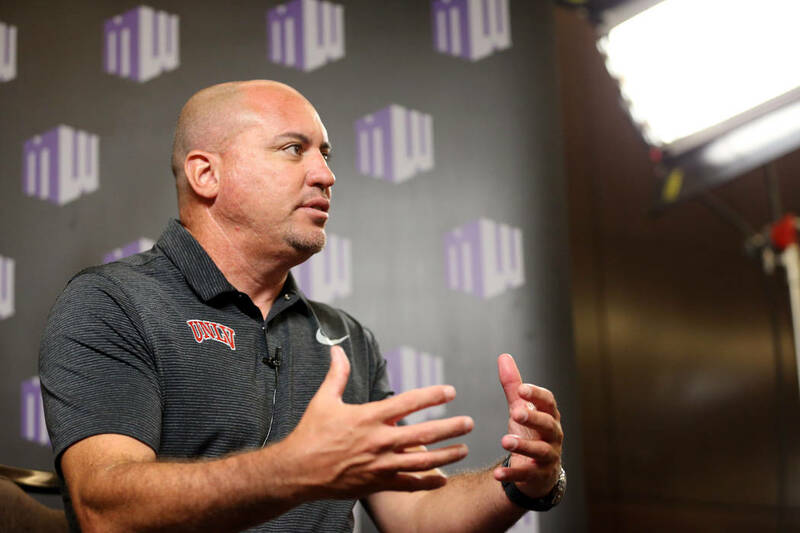 Sometimes, one’s toughest task is to find reality, and that of UNLV is this: It’s an incredibly tough job for a Sam Boyd Stadium’s worth of reasons, but the guy running it is taking the right path in trying to make something of nothing. 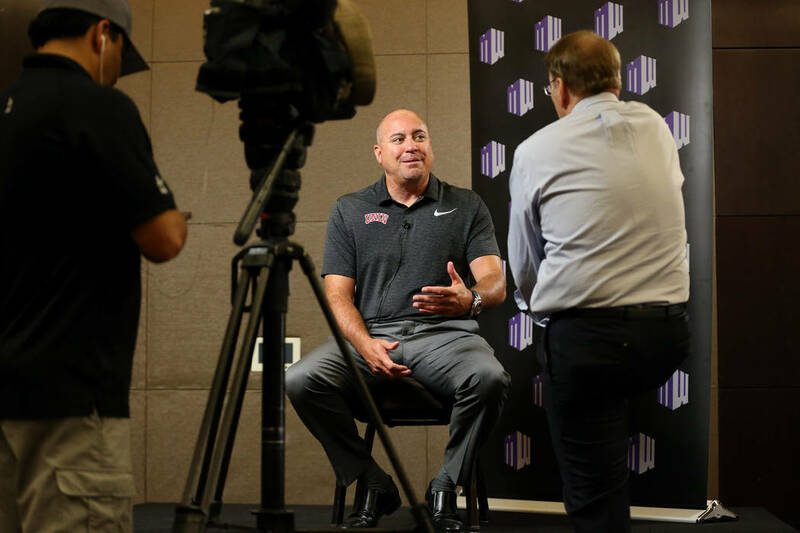 “Everyone is looking for a magic formula,” said San Diego State coach Rocky Long, whose team is the only non-Power 5 program to win 10-plus games in each of the last three years. “There is none. If you have good enough players and direct them the right way, you win games. Tony knows what he’s doing. Outside influences aren’t going to change the way he does things. Tony is too good a coach and too confident to let that happen to him. Dish soap and water can remove food stains. UNLV football isn’t. It’s a painstakingly slow one. And there’s only 50 years of evidence to support it.